The following are established Position Statements put forth by the American Association for Emergency Psychiatry. In the wake of any highly publicized mass shootings attention seems inevitably drawn to the issue of mental illness. Public narratives on this issue are often incorrect, misleading and stigmatizing. Evidence clearly indicates that at least 90% of violence is not driven by mental illness and that the vast majority of people living with mental illness are not violent. Mass shootings are a rare subtype of violence; studies of mass shootings use inconsistent and at times nonspecific definitions of mental illness as well as of what constitutes a mass shooting itself. Likely, as few as 15-25% of perpetrators of such attacks have a prior psychiatric diagnosis, which itself says nothing as to a causal relationship. Inarguably, there is an intersection between violence and mental illness: there is a small subset of people with mental illness who, often at the peak intensity of their illness and in the presence of numerous other risk factors, are violent. There is also evidence that some people who plan or engage in mass shootings are driven towards such acts at least in part by their psychiatric illness. Psychiatric emergency services routinely evaluate people with or without psychiatric illnesses who are at potential risk of violence. In the wake of any highly publicized threat or attack of this nature, threats and referrals for evaluations of threats go up often impacting referrals to psychiatric and emergency services. Understanding concerns about media-related contagion, communications by healthcare providers or hospital spokespersons relating to such events should adhere when possible to best practices (www.reportingonmassshootings.org) including avoiding glamorizing the assailant or attack, using behavioral health experts to explain the science, and explaining that violence and mass shootings are complex with multiple causes. 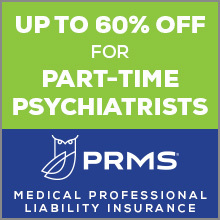 The American Association for Emergency Psychiatry promotes timely, compassionate, and effective mental health services for persons with mental illnesses, regardless of their ability to pay, in all crisis and emergency care settings. Based on our mission, AAEP supports universal suicide screening of patients in the emergency setting and appropriate funding for screening and indicated services.